Two plastic parts are wleded using Ultrasonic process without any glue. This is most suitable , clean and fast process accepted by Modern Manufacturing system. Plastic parts are joint glue less with this process to have superior finish , clean and consistent parts. Process involves high frequency vibration melts define edge of parts and join it securely water/air tight for the purpose specified .. 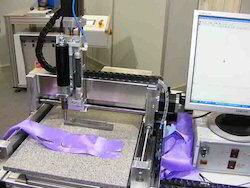 Looking for Ultra Sonic Welding ?